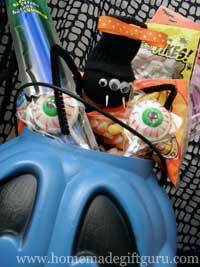 Halloween gift baskets are a great excuse to play with plastic bugs and to buy weird candies shaped like eyeballs and other creepy crawlies. It's also a great way to give much needed trick-or-treating supplies to the kids in your life... like flash lights, glow sticks and safety whistles. Below, I've put together a list of ideas for filling up Halloween baskets. Each theme revolves around some sort of Halloween fun, including trick or treating, dress up and costume, Halloween baking and Halloween party fun. 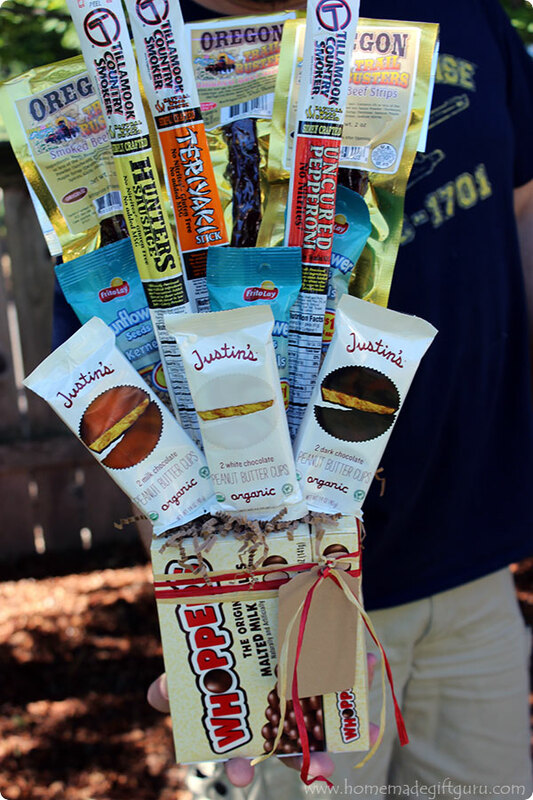 If you need more information on DIY gift baskets or you're looking for a few tips and tricks for making the best gift baskets, check out these step-by-step gift basket instructions. 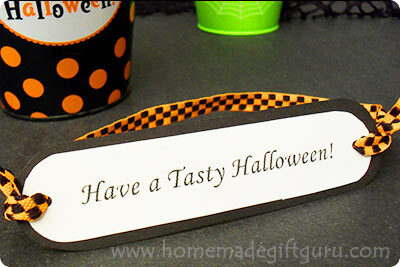 You may also like to use a few of these free Halloween printables to tag your Halloween gift baskets. 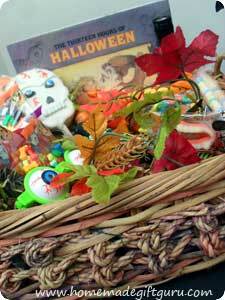 You can always fill your Halloween gift baskets with loads of candy or you might want to use the following ideas to make a custom basket for your friend, child, grandchild, teacher, co-worker, husband, wife, boyfriend, girlfriend or anyone else you might want to surprise. Flash Light: Fun for kids and comes in handy for trick or treating, telling spooky stories or Halloween sleep-overs. 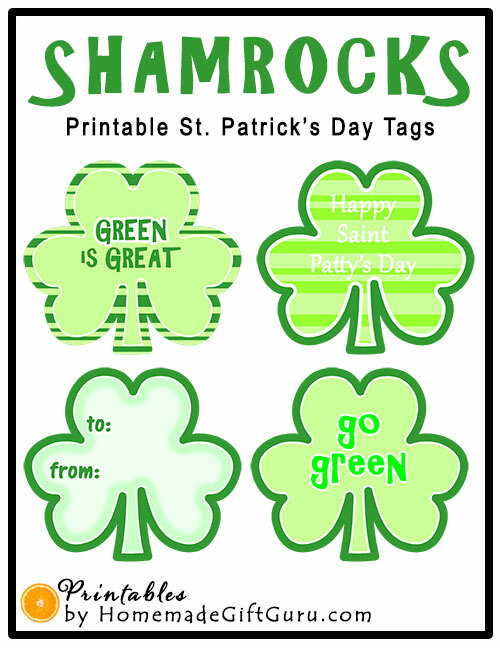 Glow Accessories: Glow stuff such as glow sticks, glow necklaces, glow bracelets etc. are great fun for being out on Halloween night whether they be for kids, tweens, teens or adults. Safety Whistle: Kids can use these if trick or treating will be crowded. 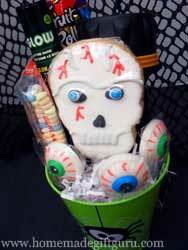 Halloween Themed Treats: Candy, Cookies or other Store-bought or Homemade Halloween Treats. Halloween Patterned PJ's: Festive PJ's are fun for kids to wear to bed after a night of Trick-or-Treating... Use a pair of cute Halloween pajamas to line Halloween gift baskets. Bonus: A new pair of Halloween themed pajamas make a great Halloween tradition! Halloween Story Book(s): To help them wind down after trick-or-treating, include an age-appropriate spooky story book or some other type of fun Halloween story book. Bonus: Giving a special Halloween book every year can become a tradition everyone anticipates and reading the stories around Halloween will be a great way to spend time with your favorite kiddos! Trick-or-Treating Bucket: Use a trick-or-treating bucket for the basket and kids will be able to use it Halloween night to collect candy. Spray on Temporary Hair Dye: Boys and girls like this for dressing up either Halloween night or for Halloween parties at school and with friends. Halloween Costume Make Up: Boys and girls can use this for Halloween dress up. Dress-up Jewelry and Accessories: These items are available in abundance in the Fall and kids love playing with dress up accessories. Silly Glasses or Funny Masks: Available in the Fall and fun to play with for kids and adults. Scary Masks: Halloween masks are instant costume fun for all ages. Glow-in-the-Dark Make-Up: There's lots of glow-in-the-dark face/hair and body products available in preparation for Halloween. For example, glow in the dark lipstick, nail polish, temporary tattoos, body paint, hair gel, hair spray and temporary hair color. Halloween Baking Accessories: Such as Halloween cookie cutters, cake molds, Halloween sprinkles and Halloween cupcake liners. Homemade Halloween Treat Books: Super fun recipe books are available especially for Halloween. For a fun twist, you could also pick a recipe from the book and buy the ingredients for it adding them to the gift basket... kids and adults will love to make something super ghoulish to eat. Halloween Music: Halloween party cd or scary sounds cd will add to Halloween fun. 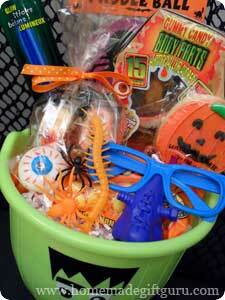 Halloween Movie(s): Age appropriate Halloween DVD's are a great addition to a Halloween party fun basket. Halloween Party Supplies: Festive napkins, plates, cups etc. arranged in a punch bowl for example. Glow Accessories: Glow stuff such as glow sticks, glow necklaces, glow bracelets etc. 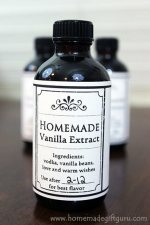 are a great addition to any Halloween party and they come often in bulk quantities (see widget - top right). 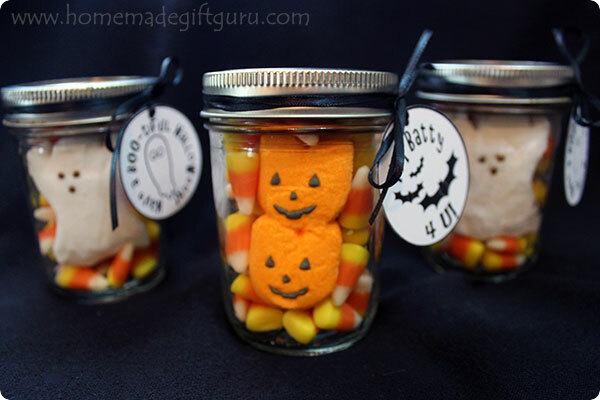 Halloween Food: Any homemade Halloween treats, store-bought Halloween cookies, cookie pops, spooky Halloween candy or snacks for a party (or just for the hostess). Wine: Always a great choice for party-themed baskets for adults. Use Halloween-themed wire ribbon to tie a lovely bow around the wine. Make a Halloween Gift Basket Arrangement for a hostess gift that will double as a Halloween party decoration or centerpiece. You can make an elegant Fall type basket arrangement with silk Fall leaves, small pumpkins and Fall ribbon or you can make it Halloween specific by adding some Halloween decorations in the form of ghosts, witches, jack-o-lanterns etc. Give it with a bottle of wine for an ultimate Halloween hostess gift. Halloween Treat Buckets: Use treat collecting buckets for your gift basket vessel and it can be used for Halloween trick-or-treating Halloween night. Halloween Hair Accessories: Festive Hair ties or head bands are fun for kids to wear to school. Pumpkin Carving Supplies: Sets including pumpkin carving knives, scoops and stencils. 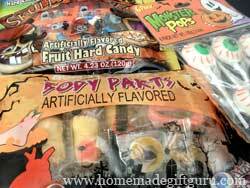 Creepy Halloween Candy: This time of year, candy comes looking like spiders and other bugs, eyeballs, severed fingers and other body parts. Halloween Colored Candy: Such as orange, green, black or red (bulk sections of well stocked supermarkets often have color separated gummy candies and jelly beans). Homemade Halloween Treats: Halloween shaped cookies, monster cupcakes or other homemade Halloween treats. Halloween Craft Supplies: Spooky foam stickers, orange and black construction paper or cardstock, Halloween stickers or rub-ons, orange and black ribbon, orange and black glitter, orange and black acrylic paint, googly eyes, other orange and black basic craft supplies... or pick another Halloween color theme for example, black and blood red or black and lime green. The above Halloween gift ideas can be mixed and matched as desired to create Halloween gift baskets special for the individual.